Three years ago, stuntwoman Rachel Star Withers first noticed the symptoms of tardive dyskinesia, when she couldn't control her tongue. Rachel Star is used to performing incredible stunts for her tens of thousands of YouTube fans. You can see her losing control on camera while walking on a tight rope, lying on a bed of nails and breaking flaming boards with her fists. But, the YouTube sensation wasn’t expecting to lose control off-camera. It was the first symptom of a rare condition, known as tardive dyskinesia. The condition causes involuntary movements. In Rachel’s case, she couldn’t control her tongue. Tardive dyskinesia, or TD for short, often affects patients that use a class of drugs known as neuroleptics, which is used to manage mental, neurological and gastrointestinal disorders. Rachel was prescribed the drug to help combat paranoid schizophrenia. However, she hadn’t been warned about TD as a possible side effect when it was prescribed. 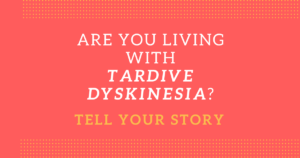 Tardive dyskinesia acts very much like Huntington’s Disease, cerebral palsy, and Tourette syndrome, diseases which carry a stigma. The stigma results in fear about the involuntary movements. Despite experiencing classic tardive dyskinesia symptoms, the condition was never discussed over the entire duration of her treatment. That’s because tardive dyskinesia is often overlooked and commonly marginalized among the medical community. There is relatively little literature on the disorder, and in many cases, TD doesn’t develop until months or years after stopping the neuroleptic drug. Patients that have been diagnosed with tardive dyskinesia say that it is virtually impossible to receive the proper diagnosis. 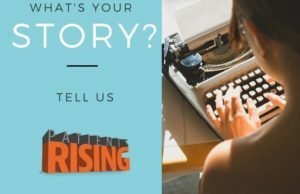 Rachel received the proper diagnosis by being persistent and acting as her own patient advocate. “I found out what TD was only after I had it, and by Googling it, only then did I ask my doctor about it,” she says. Though relatively rare, the social and psychological impact of involuntary movement can be enormous. 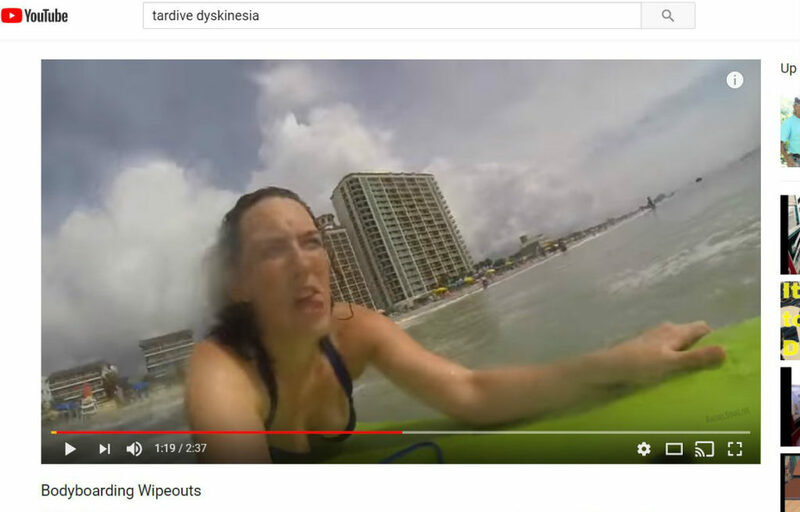 Approximately 26,000 people live with tardive dyskinesia, often from the use of the anti-psychotic group of neuroleptic drugs, although many more patients live undiagnosed. Rachel set out to help other patients learn about the rare condition. 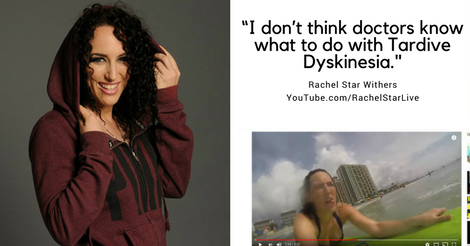 In addition to posting her work as a stunt person and entertainer, Rachel began using her YouTube channel as a forum to talk about her schizophrenia, tardive dyskinesia and depression, among other side effects and symptoms she was experiencing. Her advocacy has gone global. Rachel’s become a well-known advocate, and recently spoke at an anti-stigma campaign in Taiwan. Rachel keeps living her life as normally as she can. But, patience is needed. There are only 5 active studies in the U.S. looking into the rare condition — a small number. For comparison, there are 62 active studies in the United States for cerebral palsy. Patients must wait until scientists complete innovation’s long journey from research findings to FDA-approved medications to the insurance battle for access to those treatments. In the meantime, Rachel will keep supporting her community and riding the ups-and-downs of her condition.